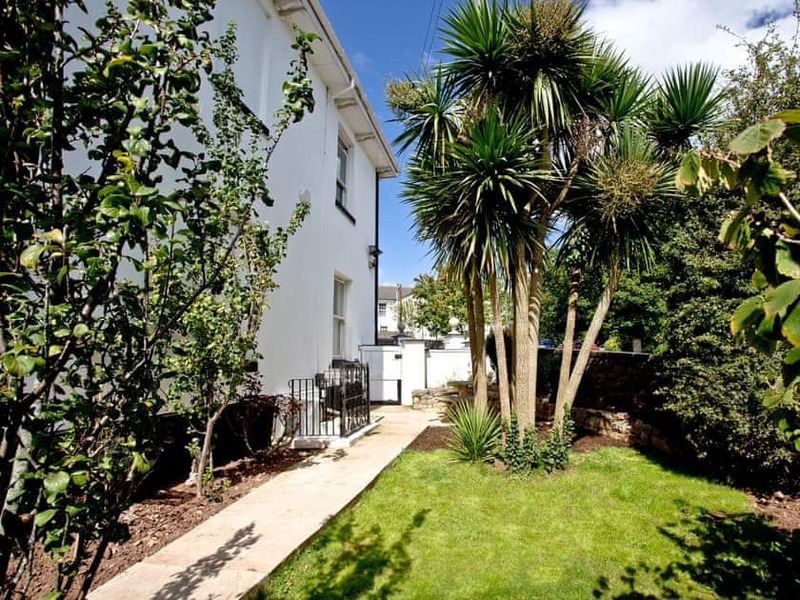 A spacious and stylish garden apartment with a large garden, ideally located for Torquay town centre. 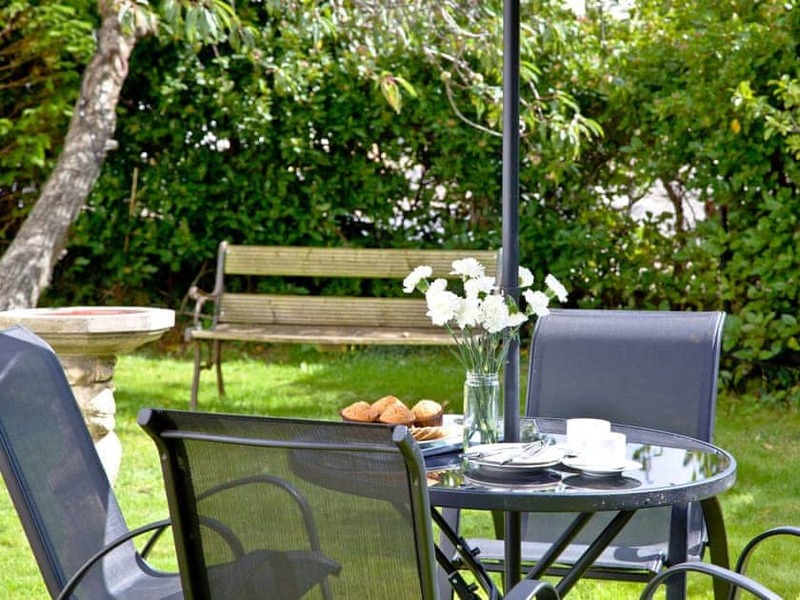 If you fancy a couple’s retreat in a fantastic location, Devon Villa Garden Apartment could be just what you’re looking for. 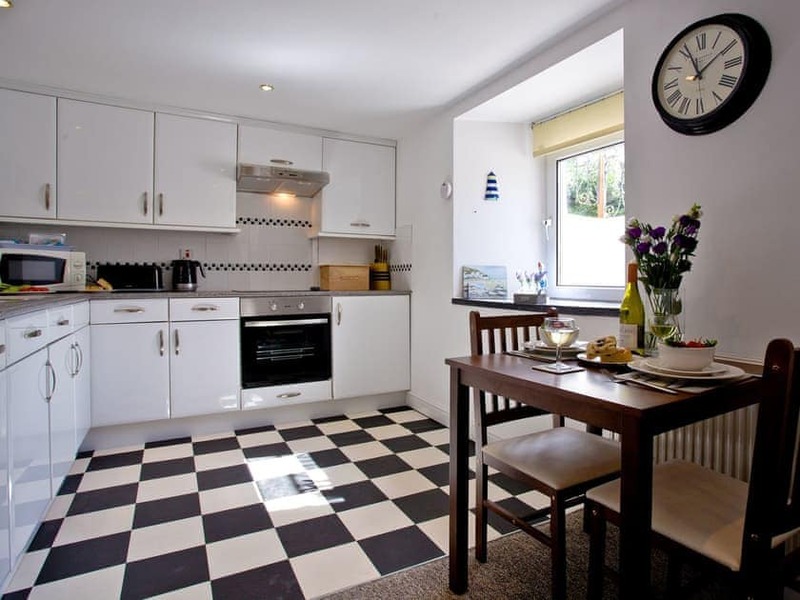 Ideally located in Torquay, you’ll find the town centre and beach within walking distance. 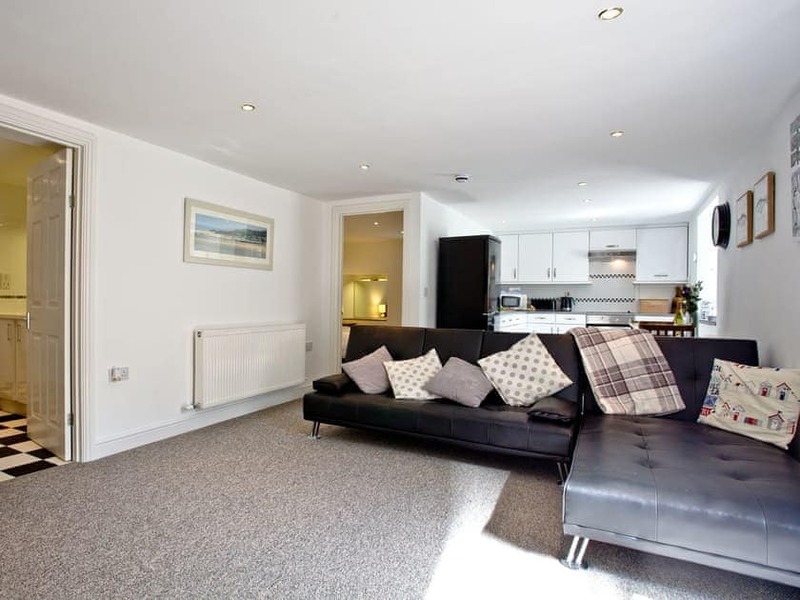 Inside, the apartment is incredibly spacious and has plenty of space for a couple to unwind and stretch their legs. 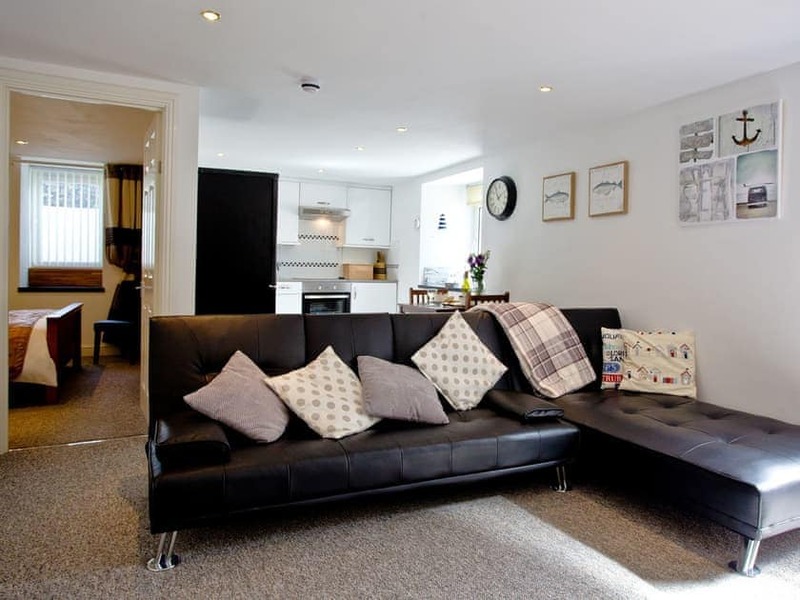 The open plan living, kitchen and dining area has a leather corner sofa for those relaxing evenings in, and is finished with an electric log-effect burner to keep you cosy during the winter months. 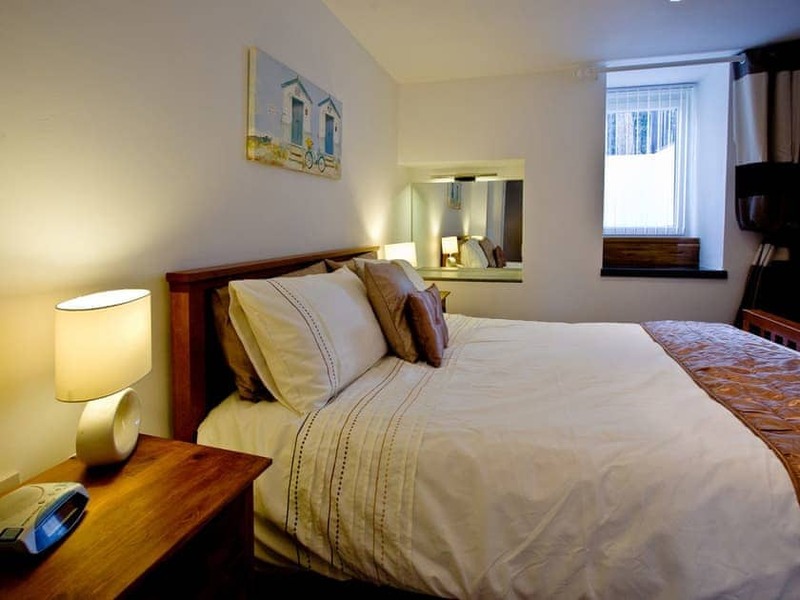 There is also a welcoming bedroom with a king-size bed and a large bathroom with his and hers sinks. 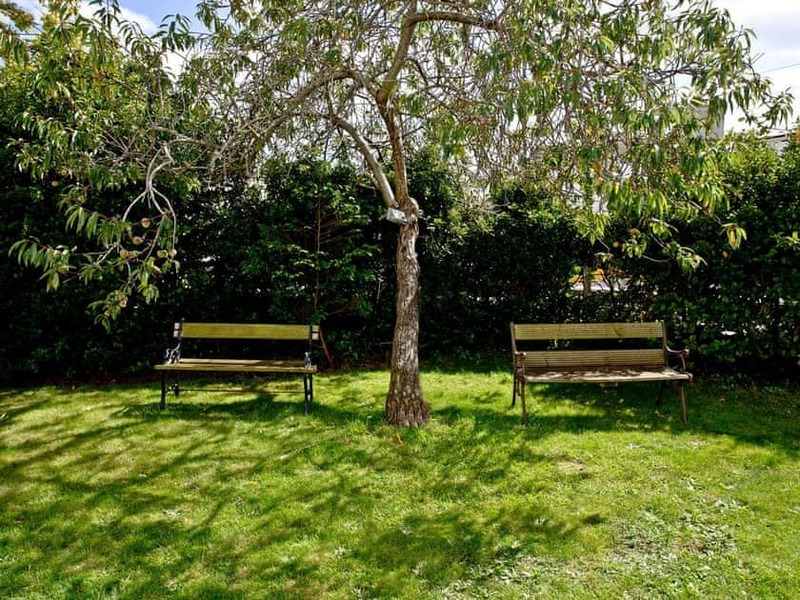 To the front of the apartment you’ll find an enclosed private garden with benches, Torbay palm trees and plenty of lawn space in case you want to bring along your four legged friend. This is ideal for those warmer days where you just want to relax in the sunshine. 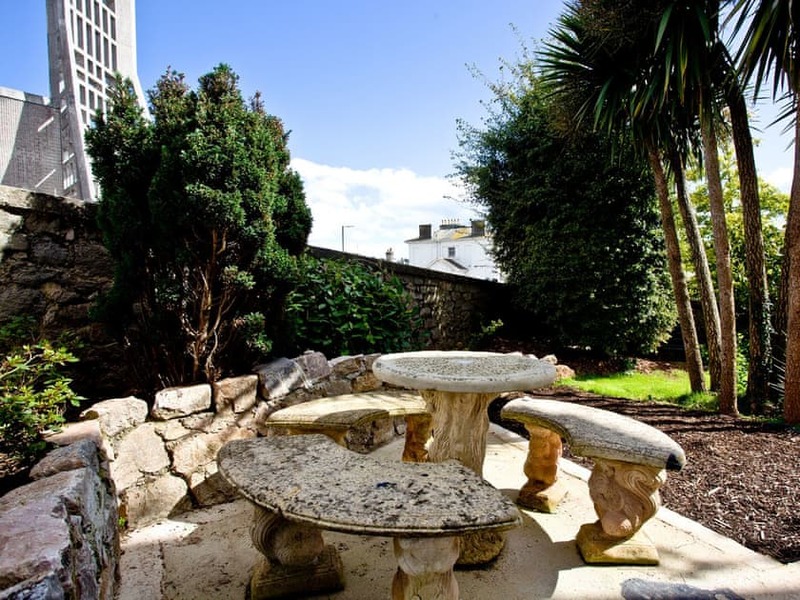 Located close to Torquay town centre, you’ll find shops, restaurants and a buzzing nightlife all within walking distance. 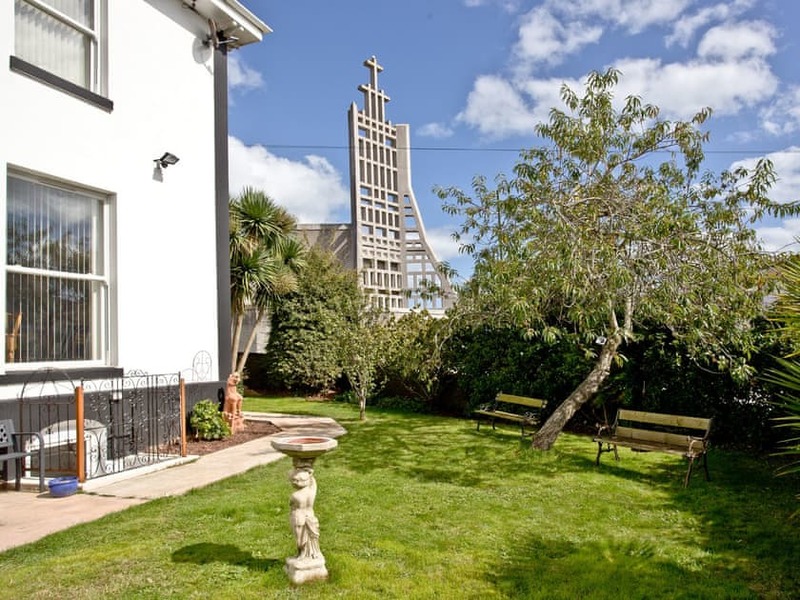 Torre Abbey Sands is a 10 minute downhill walk away where you’ll be able to hire a kayak or paddle board, or try your hand at miniature golf or boules. 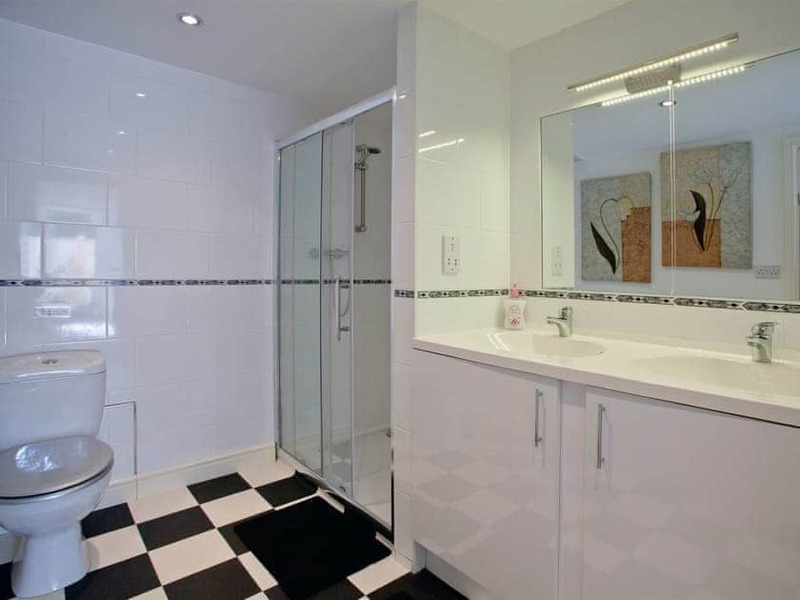 Excellent apartment, very clean & well appointed. Secure garden for the dog. Secure parking. Great location for town center & harbour. Public transport very good & easily accessed close by. what a hidden gem! 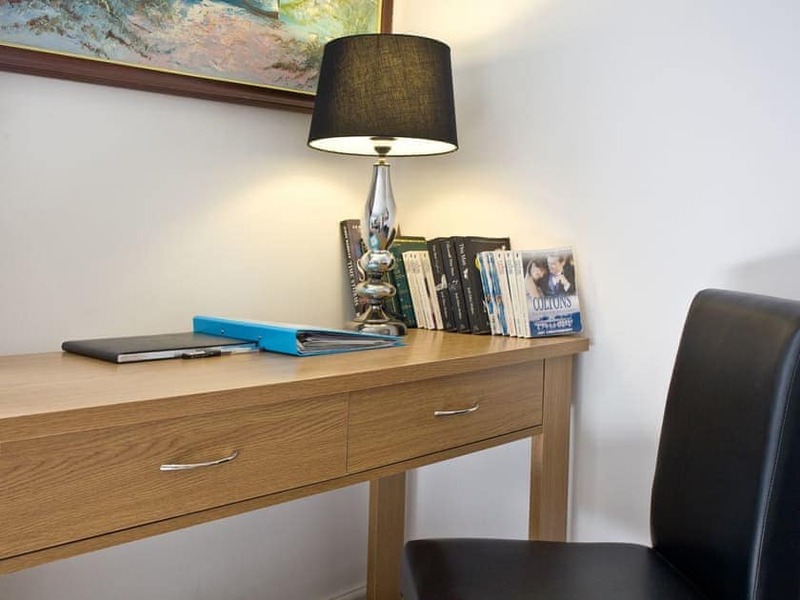 Ideally located on the edge of the shopping area ,yet not to far to walk to the seafront. 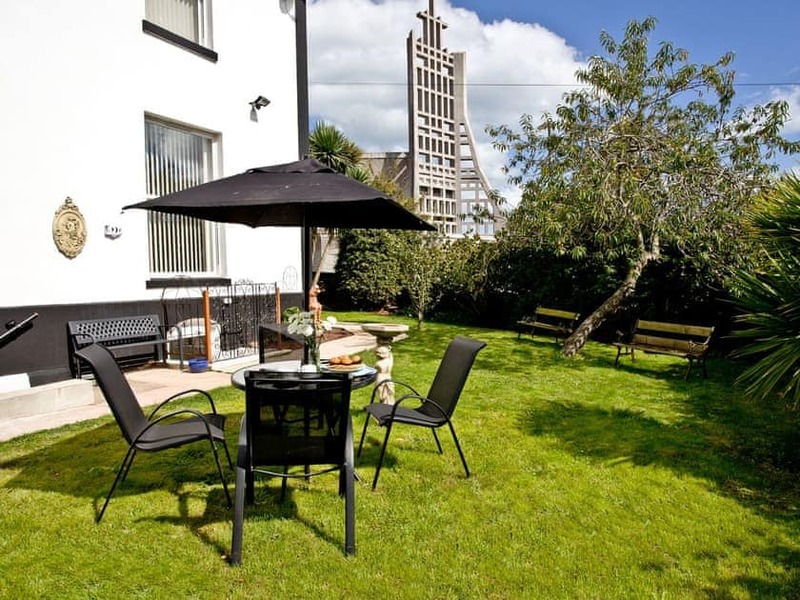 well equipped with a secure garden for the dog, allocated parking behind a locked gate, just perfect. 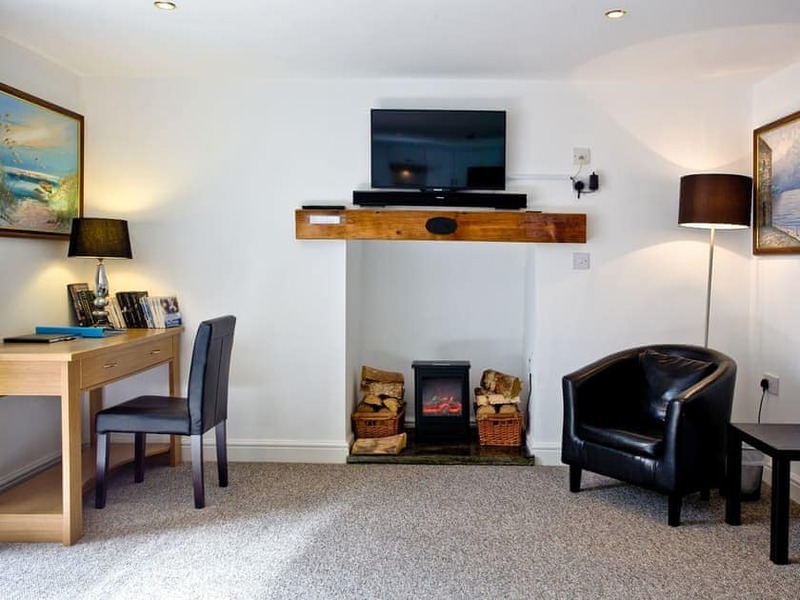 The friendly owners Dave and Janet live on the premises and meet you on arrival and are at hand for any problems. 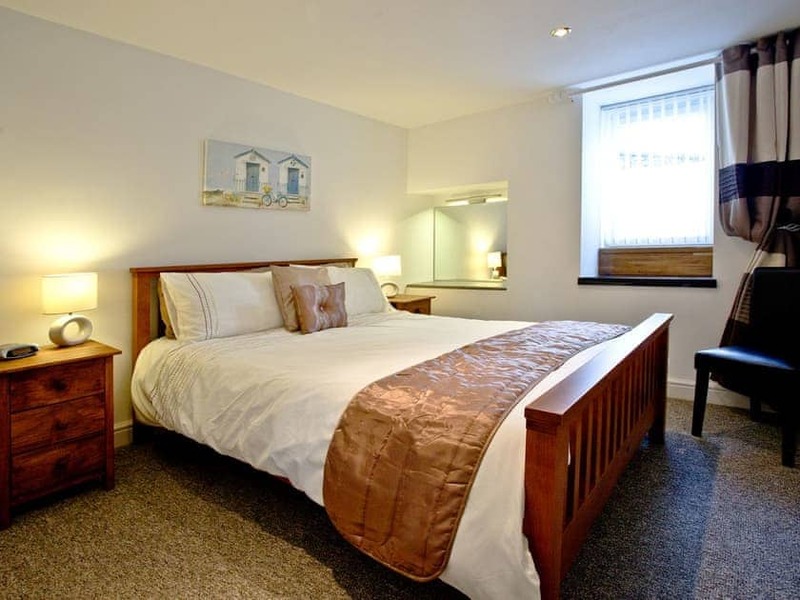 We had a lovely week it was very clean and had everything you needed,the bed was so comfortable we allways slept well, the enclosed garden was really good for our little dog, it was so nice we will go their again. Great place, every thing you need , garden too..lovely owners . Definatrely recommend it. 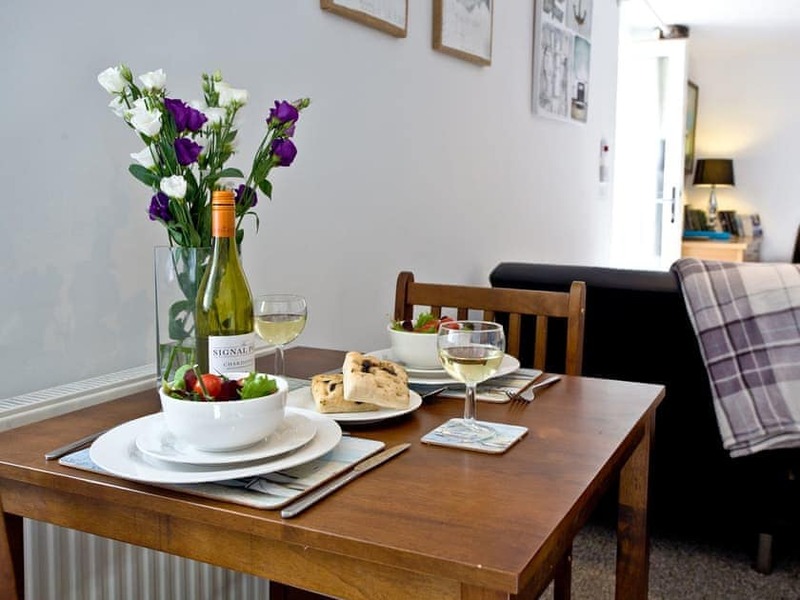 The accommodation was of a good standard, comfy and spacious, the owners were friendly and welcoming. 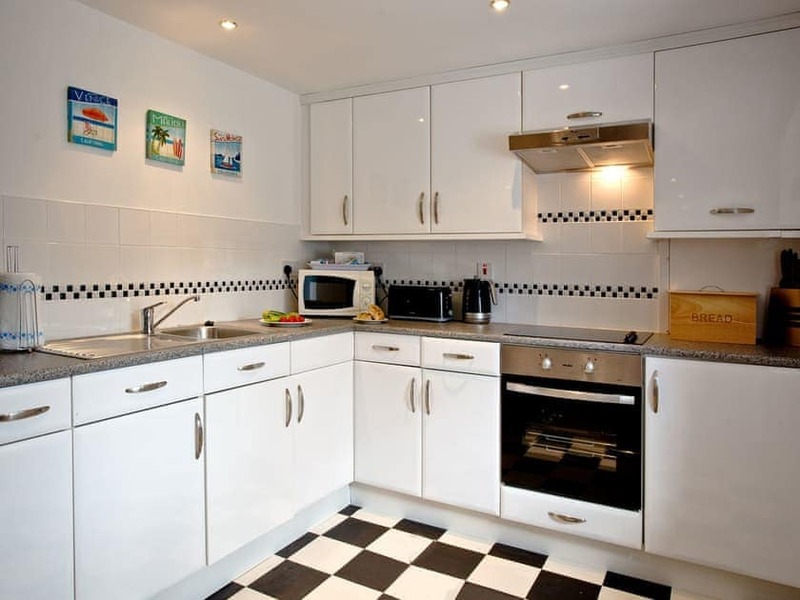 Also the apartment was in a good location for the seafront and the town centre and for use of the local bus service. Fantastic accommodation, owners couldn’t do enough for us.